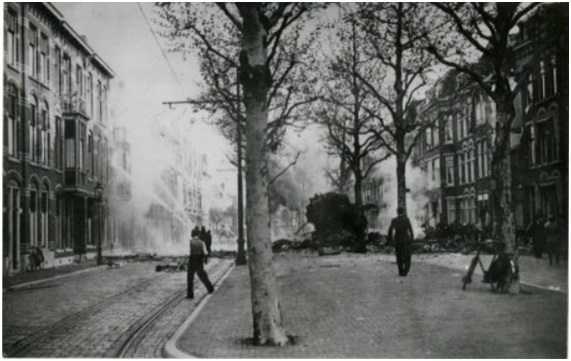 The Wilhelmina Church was the eighth Protestant Church in The Hague. 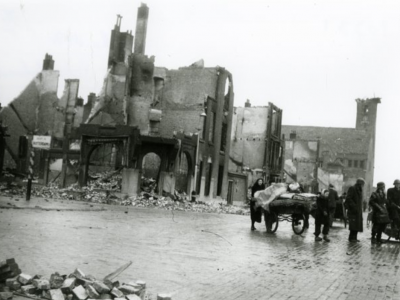 The Church was completely destroyed in 1945 and wouldn't return here. A view of the side wall of the Wilhelmina Church in 1920. 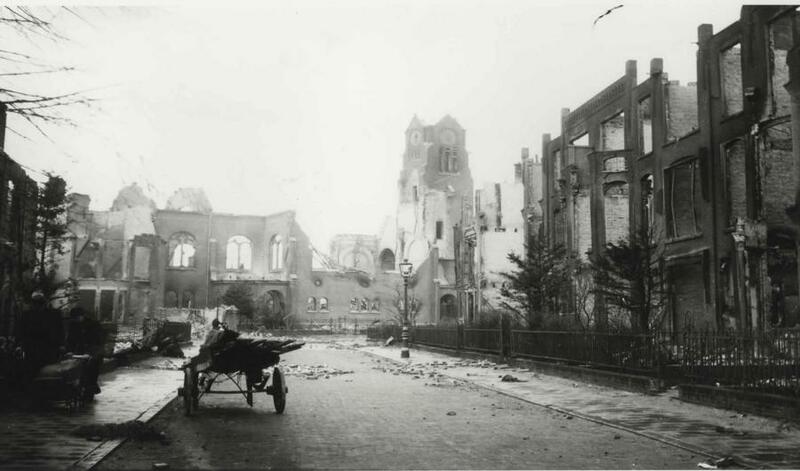 The Wilhelmina Church after the bombing. The Carolina van Nassaustraat with the PTT (post office) building on the right (approx. 1925). The Carolina van Nassaustraat is named after the older sister (1743-1787) of Stadhouder William V. The street led to the Koningin Mariastraat, which no longer exists at this location. The Dutch Reformed Wilhelmina Church from 1908 stood on the corner of this street where it meets the Louise de Colignyplein. It was a beautiful building in the Romanesque Revival style with influences from Berlage. A German paratrooper landed on the church tower on 10 May 1940. His parachute tore and he slowly slid off the roof. The trails from his steel-tipped heels remained clearly visible. The bombing destroyed the nave of the church and badly damaged the tower. The clergyman of the church, Reverend Dr. M.M. den Hertog, provided for the people that had lost their home and took care of the children that were orphaned. 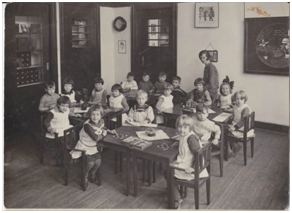 The Protestant school that is now in the Amalia Solmsstraat, bears his name. 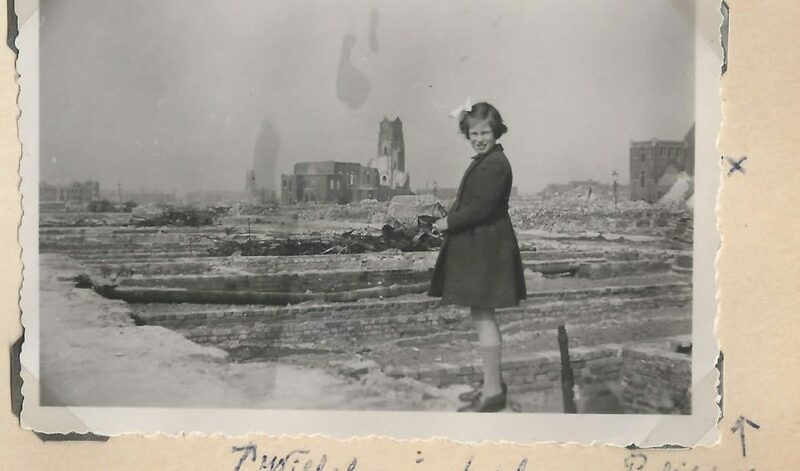 The damaged Wilhelmina Church remained standing for some time after the bombing, until it was demolished in April 1946. 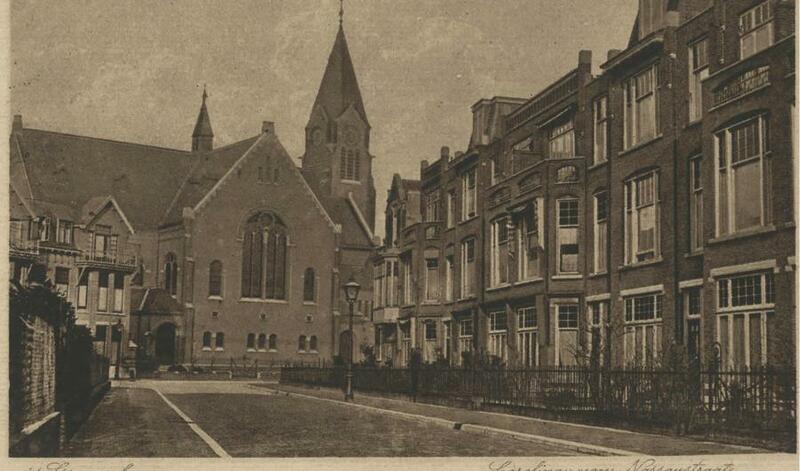 A new Wilhelmina Church was built on the corner of the Juliana van Stolberglaan and the Louise Henriëttestraat. In 1998 this church was also knocked down to make way for homes and a car park. 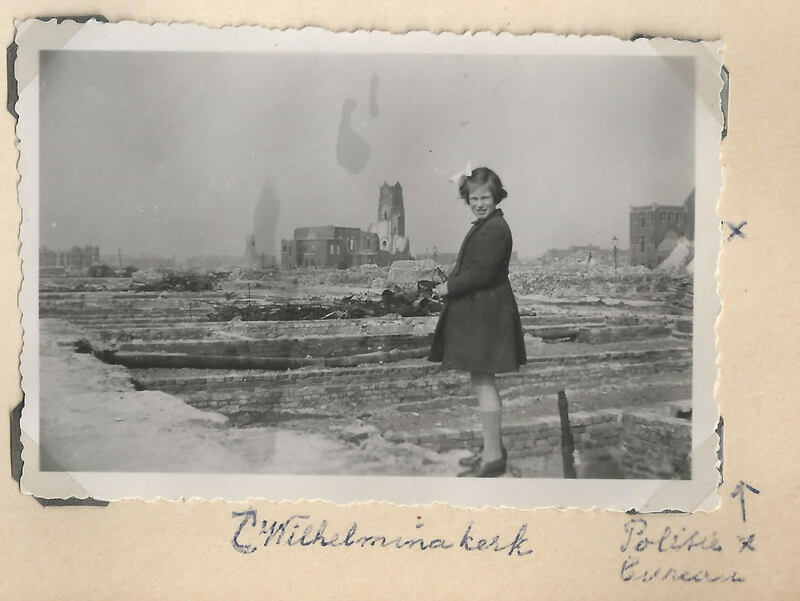 "it was a neighbourhood full of sorow"
Mrs R. Weidmann-Cornelissen, 69 years old when this was recorded. 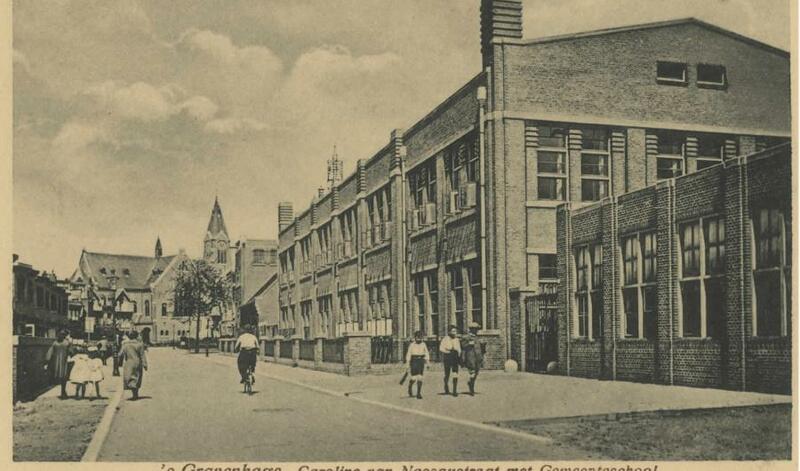 The boys went to the Bavo school in this street. 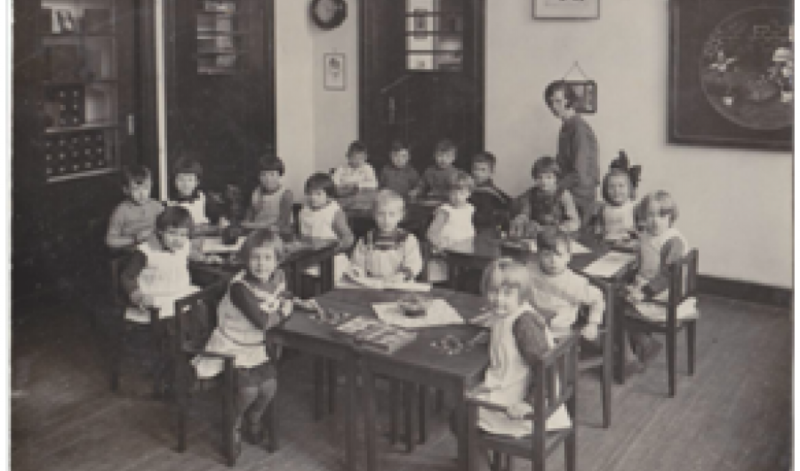 Preschoolers, girls and boys, with aprons. 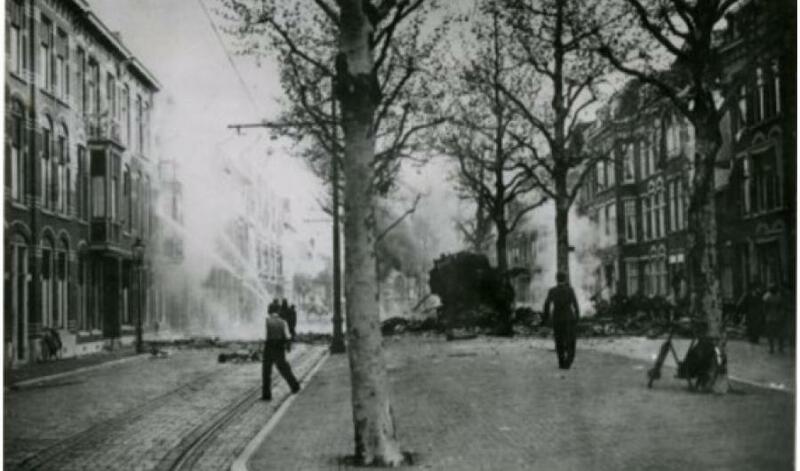 At the beginning of the war a German plane crashed at 2e Adelheidstraat, now Koningin Beatrixlaan. Photograph of Pauli Rorije, which clearly shows that all the buildings in the area around the Church and police station were gone.